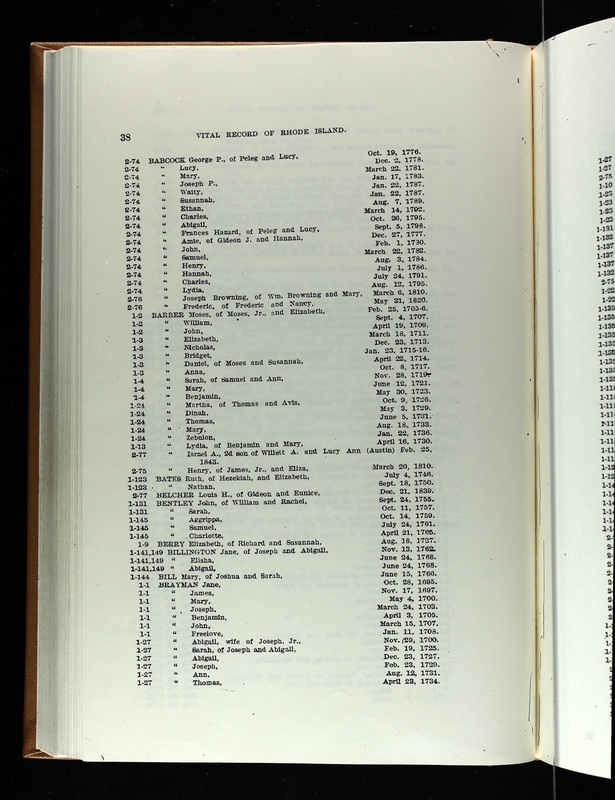 "Rhode Island, Vital Records Extracts, 1636-1899," indexed database and digital image, Ancestry.com (http://www.ancestry.com), Volume 5, "Washington County Births, Marriages, Deaths," page 38 (image 158 of 523), South Kingstown births, Anna Barber entry. 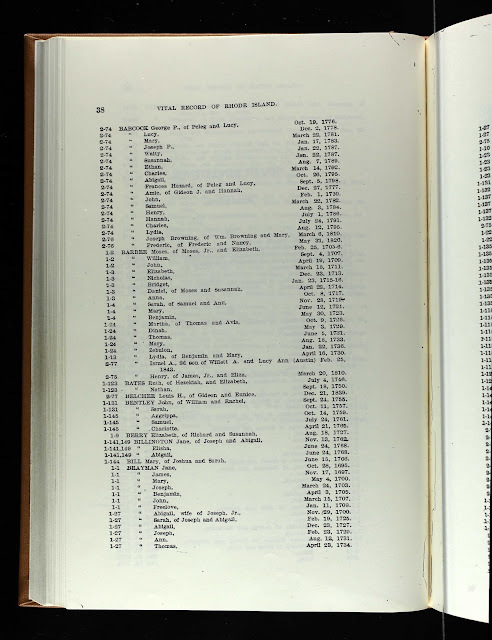 The last two of the 14 children of Moses and Susannah (West) Barber are recorded in the South Kingstown, Rhode Island town records. Anna Barber is my 6th great-grandmother, who married Sylvester Kenyon (1710-1800) in 1740, and probably died in Voluntown, Connecticut. I am descended through their son, John Kenyon (1742-1831), who married Anna Kenyon (about 1742 - before 1831).